It's time to get back into the swing of things. This is going to be a jam-packed semester, and we need all of your help. 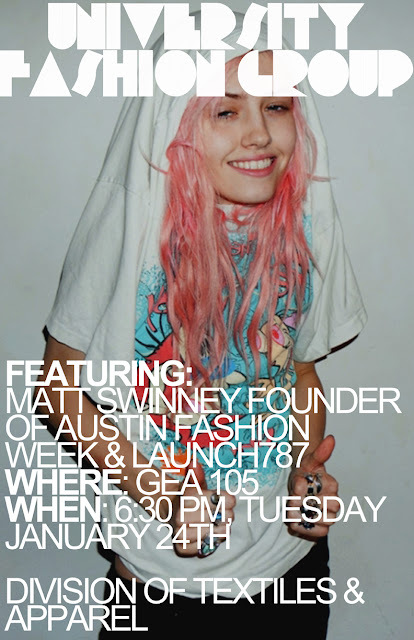 To start the semester off right, we happily welcome Matt Swinney, founder of Austin Fashion Week and Launch787 as our guest speaker. So please come out, dress your best, and get ready for a fun semester! See you all Tuesday and Hook 'em Fashionably!